Tempeh is a traditional Indonesian fermented soybean product, which plays an essential role in its culture and economy and forms an important non-meat protein source in the diet of its people. Nationally, there are around 80,000 small and medium tempeh producers consuming more than 1 million tonnes of soybeans annually. This raw material is however mostly imported from the USA, which might bring unintended environmental consequences. This paper evaluates the life cycle environmental performance of tempeh by comparing existing tempeh production alternatives in Indonesia, identifying impact hotspots and analysing parameter sensitivity for possible improvement. 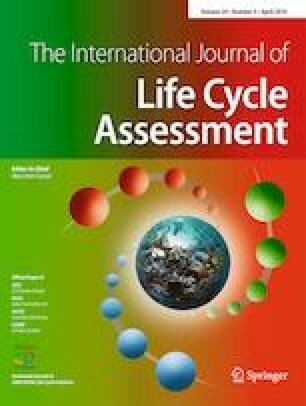 A life cycle assessment (LCA) was conducted including 11 CML baseline impact categories for a case study of tempeh production in West Java. The study differentiated between two levels of technology, being conventional and hygienic tempeh production. The latter was characterised by the elimination of firewood, an increased energy and material intensity and higher product acceptance in certain market segments. Assuming that it best represents future practices, sensitivity analysis were further carried out on the hygienic tempeh production system. Minor differences in environmental impact exist between the conventional and hygienic production systems. For example, the global warming impact of 1 kg of either conventional or hygienic tempeh is between 0.9 and 1.0 kg CO2-eq. Where the soybean cultivation stage is the main contributor to the indicator results for land use and eutrophication, the transport stage is the main contributor to human toxicity, eco-toxicity, stratospheric ozone depletion, climate change, photochemical oxidation and acidification. Road transport within Indonesia was found to dominantly contribute to the total transport impact and to be a highly sensitive parameter, showing great variability due to changes in distance and assumed average load. This study also found that assumed average load from ecoinvent transport services may not reflect average transport conditions in Indonesia. Hotspots of Indonesian tempeh are related to the transport of soybeans to the tempeh factory and their cultivation. This means that the processing of soybeans into tempeh at the factory only has a small contribution to total environmental impacts. Therefore, improvements aimed at environmental gains should focus mainly on the development of locally grown soybean or other beans and efficient modes of local transport, and to a lesser extent on the installation of wastewater treatment, increased use of renewable energy and increasing energy efficiency. The online version of this article ( https://doi.org/10.1007/s11367-019-01617-7) contains supplementary material, which is available to authorized users. The authors would like to acknowledge the valuable contributions and insights into the Indonesian tempeh industry by former SCOPE project leader Muhammad Ridha (USSEC) and Joko Supardi (PT AFI). The first author would like to thank Program Bantuan Seminar Luar Negeri (BSLN), Ditjen Penguatan Riset dan Pengembangan, RISTEKDIKTI-Indonesia for the financial support to attend the LCA Food 2018 conference in Bangkok, Thailand.